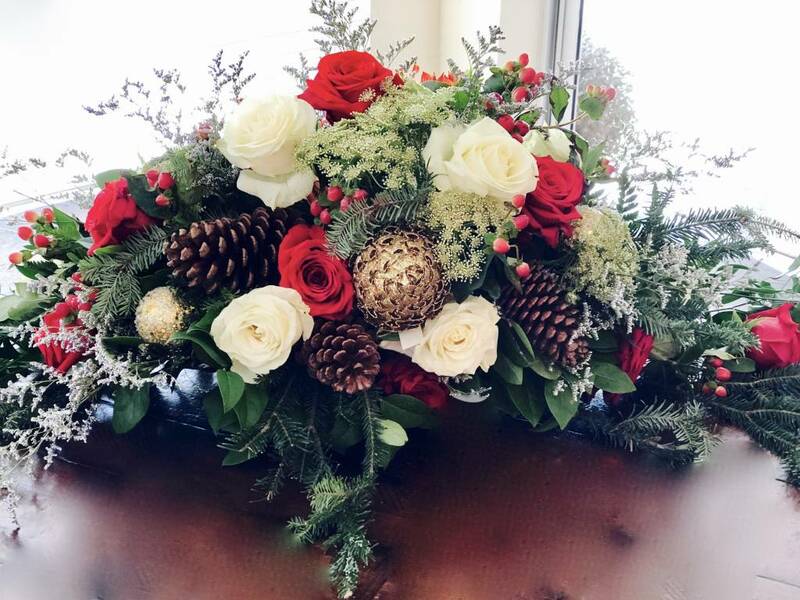 Nothing says Merry Christmas like this showstopper for your dining room table. 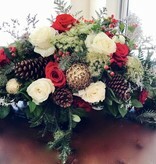 Filled with over 40 plus flowers this Christmas centerpiece arrangement will "wow" your guests for sure. It's our little present to you! Order ahead and pick up in store on December 23rd.